So What's New? At Culp Associates showroom, Manuel Canovas' spring collection (above) has gone all native, with a wool/cotton/linen Bellam fabric (shown on the sofa) inspired by an authentic Peruvian poncho, which was found by a Canovas' designer on the streets of Cuzco, a city in southeastern Peru near the Andes mountains. The designs for the embroidered floral pillows, shown in Alma fabric, were influenced by the indigenous handwork and crafts in Bolivia. 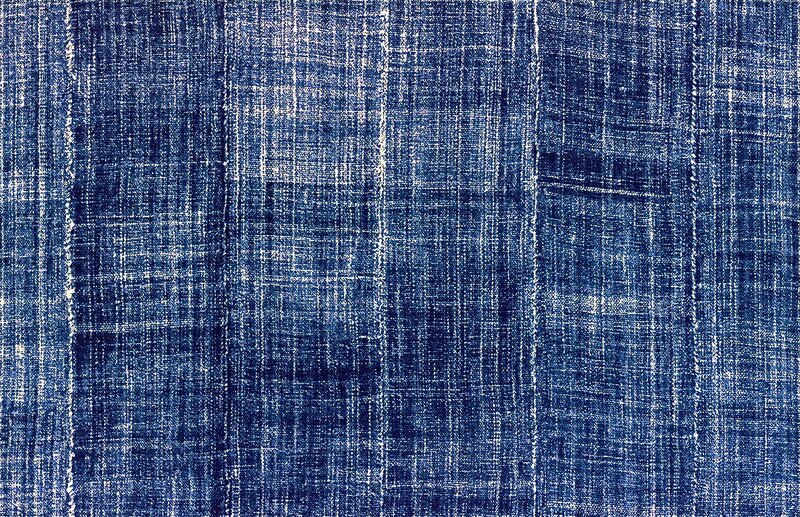 Larsen's new Vintage fabric in Jeans. I fell in love with this new fabric by Larsen that mimics a soft, faded pair of jeans. 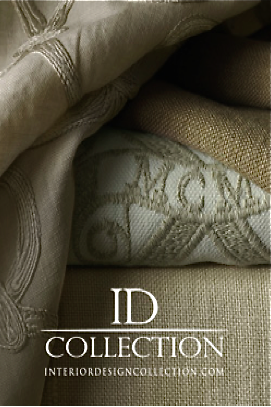 Hand rubbed dye on linen, Vintage is designed in France and made in Italy, so you know it's of impeccable quality. It also comes in tan, graphite, and stone colors. Also at Culp Associates. Above top, Larsen's Stencil fabric is designed and made in France, and is a modern take on classic ticking so beloved by the French. In lieu of stripes, Larsen strings inspirational words together in succession (nurture, creative, inspiring). 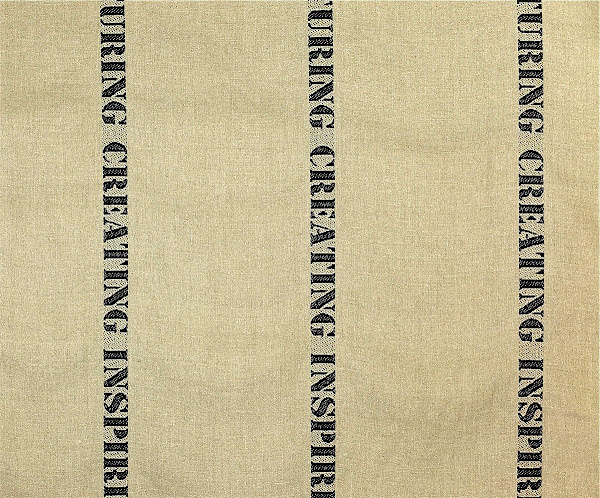 The words are woven into the linen fabric, but the look is supposed to evoke a handcrafted, stenciled screen print. 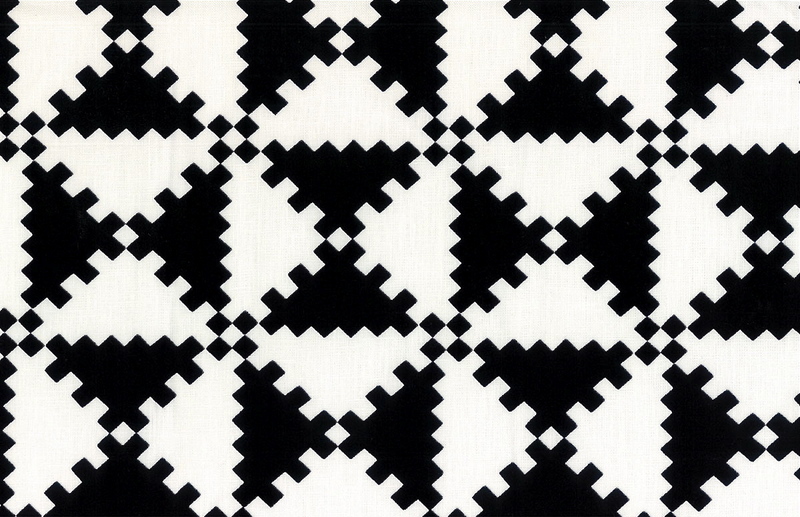 Next, Larsen's new graphic Puzzle fabric reminds me of so many things -- American quilts, native American blankets, and even the early days of computer games. 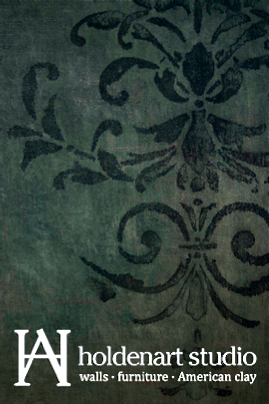 The pattern is raised velvet, and comes in black on white, white on tan, and blue on tan. Both at Culp Associates. 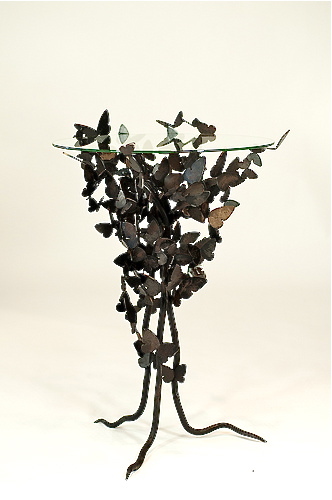 Love this delicate, bronze butterfly table from Dallas-based Hearth Art studio's new spring and summer collection, also at Culp Associates. I wrote about their nature-inspired fireplace screens last year, and since then they've added tables and mirrors to the collection. On Sale! Casa di Lino's annual Scandia Home summer sale is going on now through July 23. Take 20% off on luxury pillows, comforters, linens, and foundations. 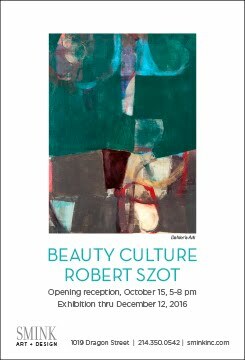 Art News West Village has everything -- hip restaurants, an indie theater, cool shops -- but until now it never had an art gallery. RO2 Art Uptown, which previously had been showing its stable of artists in pop-up spaces around town, has settled into a beautifully lit spot facing McKinney Avenue, next door to Club Monaco, which opens July 13. A group show runs through July 17 and includes paintings by Dallas artist Michael Francis, sculptures by Elizabeth Akamatsu, and works by Texas master ceramicist Piero Fenci. 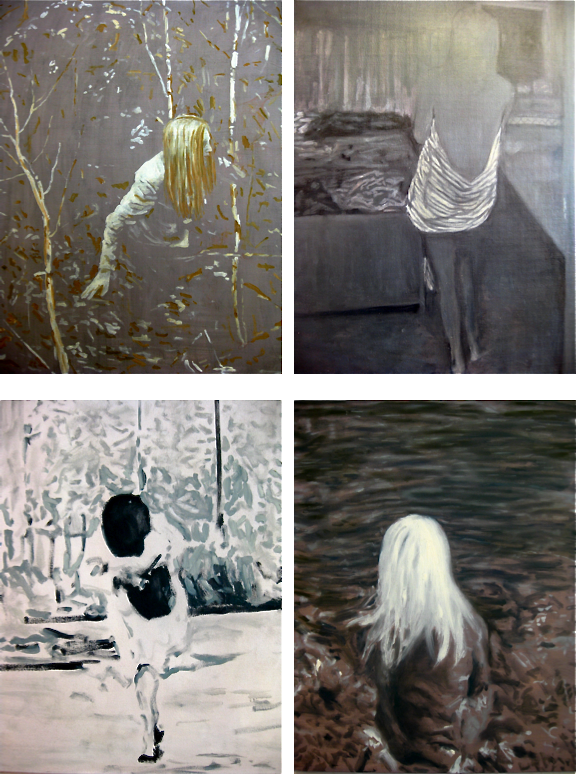 Francis' large scale oil paintings on canvas of faceless women (above) are really provocative, aren't they? Inspired by nature and geometry, Elizabeth Akamatsu creates sculptures in bronze, steel, wood and encaustic. These luscious pears might as well be female forms, they are so sensuous. Piero Fenci's sculptures look to be made from metal found objects, but they're actually made from earthenware. Love that contradiction. Fenci, who is married to Elizabeth Akamatsu, studied at Yale and earned an MFA from the prestigious New York State College of Ceramics at Alfred University. Here's a video I took of Dallas artist Jesse Meraz' sculptural collage of objects covered in glitter. It's in RO2 Art's window in West Village, and it rotates! Meraz has been working almost entirely in glitter-covered objects for 25 years, which I find completely fascinating. Emerging Residential -- First Place. And the winner is . 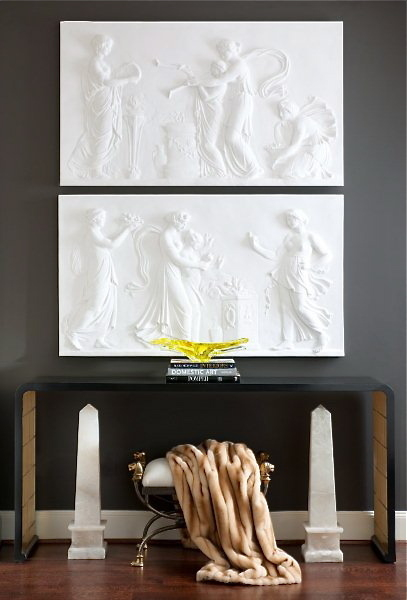 . . to find out which designers won in what categories at ASID's recent 2011 Design Ovation Awards, go here. Gorgeous! I heard through the grapevine that designer Julio Quinones had opened a space last week inside Nick Brock Antiques, so I dashed over with my camera. It's classic Julio, with lots of subtle glamour, exquisite forms, impeccable upholstery, and well-thought out details. 97" French style sofa with painted finish, upholstered in linen, $4,800. Interlocking circles painting, 68" x 68", by Texas artist Larry Locke, $2,600. upholstered in Schumacher fabric. $5,800. including a pair of small pagoda candlesticks, $175. 1970s brass lamp, attributed to Pierre Cardin, $950.